When I was visiting Phi Phi Island, I was told that the PP Visa Diving Centre has some wonderful diving trips and other underwater activities. I wasn’t disappointed when I checked out the place. I had mailed the help desk at PP Visa Diving Centre several days before arriving. The arrangements for my diving trip had been made and I was very satisfied with the attention that I got during my first trip ever into the waters. The instructors were some of the best ever, my more experienced fellow divers were saying. My Scandinavian instructor with her warmth and fluent English made it easy for us who had come from different parts of the world. PP Visa Diving Centre offers trips tailor-made to suit your convenience and taste; if you don’t want to check out the island and just laze around the beach go ahead and do that. 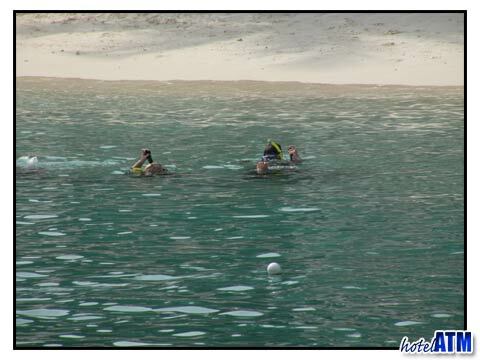 What I also did was hit the sea on their trip to Koh Ha by speedboat. I absolutely enjoyed the exciting speed out to the islands which were about 50 minutes away. I must say that Koh Ha was fabulous, with about 40 meters visibility! This is a dive site of pure quality. There are caves on Koh Ha 5 but we didn't do them as the conditions were poor with too much surge. But the scenery below the surface with that kind of visibility you feel like you can see forever. Pure Wow.... 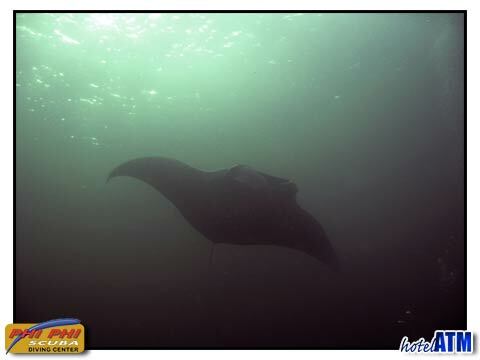 I saw a Manta Ray sail by me and my buddy and broke out into spontaneous laughter at 18 meters, pure magic. It was moving too fast to follow but we were with it for about 30 seconds for a memory that I will have for ever. PP Visa Diving Centre did a great job in ensuring that I soaked in the best of nature and helped me with the names of coral and marine life I didn't know. If you are on Phi Phi island, then you must check out the deals at PP Visa Diving Centre . There is nothing like off-season and hence it’s always a nice idea to book well in advance. You could also check out the Cat Climbing shop if you are keen on some rock climbing, some thing we did for an afternoon in Tonsai Bay. The National Marine Park up at Bamboo island has some exotic species of flora and fauna, I was told. PP Visa Diving Centre has packages that take you around the islands, go on diving trips and make the most of your holiday. It was only my packed schedule and some bad planning that didn’t make me utilize all the tour deals that PP Visa Diving Centre is renowned for. Next time, I shall make the best of the packages and make it that much more enjoyable! Hats off to the founders of PP Visa Diving Centre , Horst Forster and Khun Jeerasak Klongsamut, for the splendid job they've done. PP Visa Diving Centre is on Tonsai Bay on Phi Phi Don. Visa Diving offers diving from the Phi Phi Islands and PADI courses from beginner to pro.